Rafael Ordoñez, Ana Otero, Inmaculada Jerez, et al. [OncoTargets and Therapy] A review of the role of radiation therapy and potential prognostic factors for selecting patients for more radical treatment. Authors call for ongoing monitoring, treatment of those initially exposed. Li Li, Wei Liang, Jin-Xian Zhu, et al. [Cancer Management and Research] This network meta-analysis seeks to establish the optimal treatment in advanced nasopharyngeal carcinoma (NPC). Tianji Liu, Wenqi Zhang, Shuai Xiao, et al. 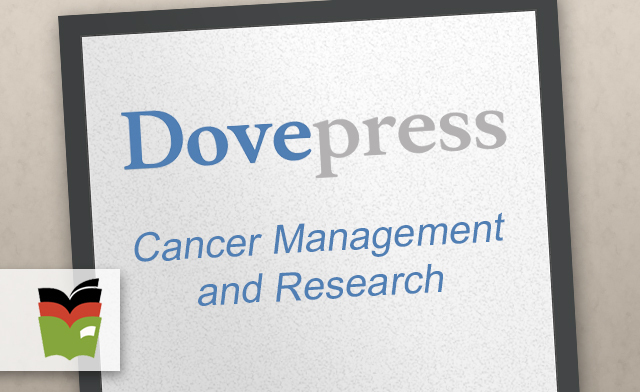 [Cancer Management and Research] This research examines the efficacy of mindfulness-based stress reduction (MBSR) on health-related quality of life, depression, and anxiety in patients with differentiated thyroid cancer receiving radioactive iodine therapy.